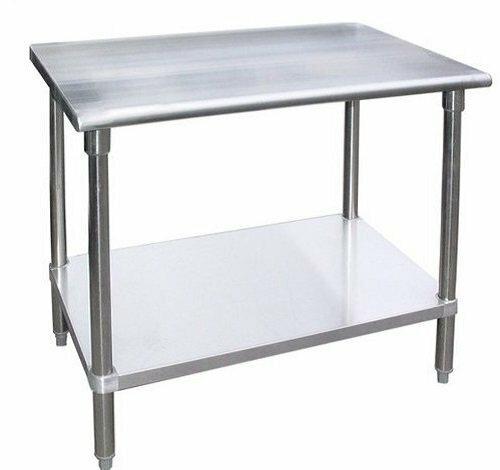 Stainless steel worktable surface has curved edges for safety and comfort. It incorporates a heavy duty adjustable galvanized under shelf and leveling feet. Suitable for a variety for food preparation works in a commercial kitchen. If you have any questions about this product by AmGood, contact us by completing and submitting the form below. If you are looking for a specif part number, please include it with your message.